The Solar Powered Water Fountain Kit includes attachments that are easy to assemble, comes with different spray heads for different water patterns (different height of the water flow). 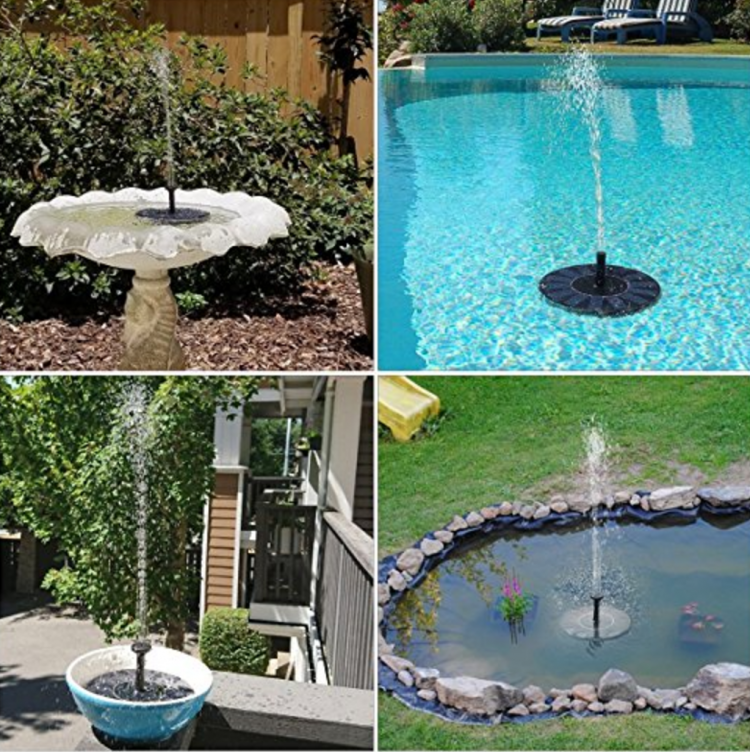 The Solar Powered Fountain Pump is driven directly by the sunlight, the height of water flow depends entirely on the strength of sunlight, place the unit in an unobstructed area of sunlight to get best working results (no shadow or cloud). It's highly efficient solar panel, requires no battery or electricity saving energy and more importantly money! DO NOT pre-charge the fountain in the sun. The fountain does not require charging. If it is placed in the sun without being in water the pump will be damaged.